The classic story of everyone's favourite bear -- Paddington! Join Paddington and the Browns as they start their adventures at Paddington Station and relive the much-loved story of this adorable bear! Paddington Bear first met the Brown family at a railway station -- Paddington station, in fact. He had travelled all the way from Darkest Peru with only a jar of marmalade, a suitcase and a label reading 'Please look after this bear'. 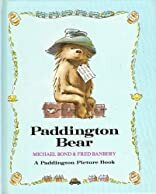 Without further ado, Mr and Mrs Brown promptly welcomed the adventurous bear into their family, and in honour of their meeting place they named him Paddington. The Browns soon discover that Paddington is a most unusual bear. Ordinary things -- like having a bath -- become quite extraordinary when a bear called Paddington is around. 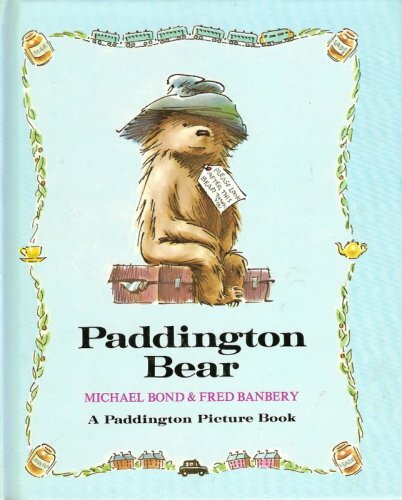 Young children will love this charming picture book of the original Paddington story.